My beloved Cessna 172 is keeping on keeping on. I've long since learned that this particular airplane needs to be flown with greater margins than I'm used to. This is a great learning experience, being forced to be prepared for dealing with emergencies. I've completed my CAT-ratings in PilotEdge and before I do the I-ratings I will fly the Alphabet Challenge in a combination of VFR and IFR. The challenge is flying from A to B to C to D... and so forth, literally in terms of the FAA-code for the airports. 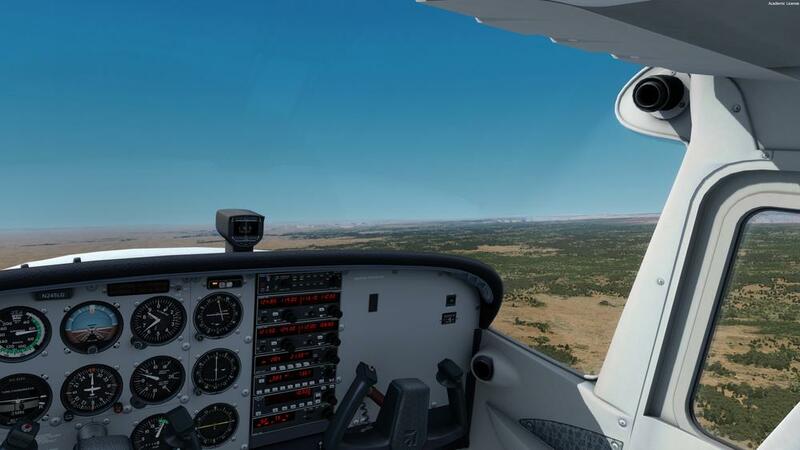 I had planned it all, with my first VOR-DME approach and all (a very simple one, good for learning). Weather was "clear and a million", but with strong winds out of the north north-east. Here I've just fired up the engine. Clearance is recieved and I'm ready for taxi. The wind favors runway 3, but my departure procedure calls for runway 21, and I'm prepared to face 10 knot tailwinds if I have to - looong runway here at GCN. 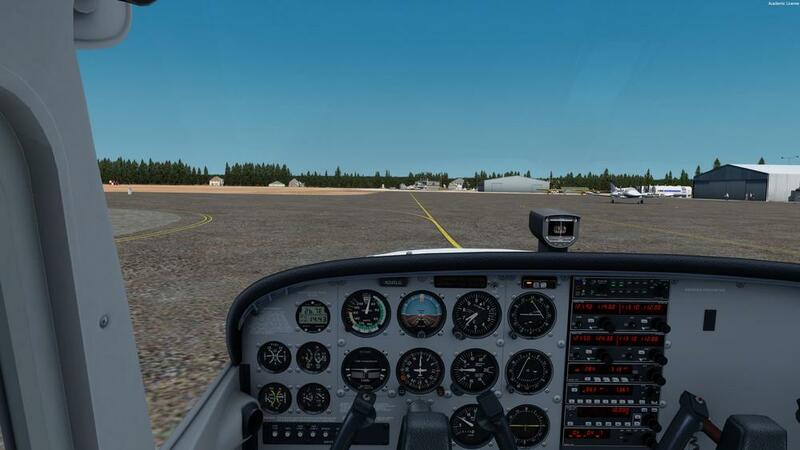 - "Grand Canyon Ground, Cessna 245LG with information Sierra, ready for taxi IFR"
- "Cessna 245LG, Grand Canyon Ground, taxi runway 3 via Papa"
- "I can't fly the SID from runway 3, Cessna 5LG." - "Can you accept the tailwinds on runway 21?" - "It'll be fine, Cessna 5LG." - "Cessna 5LG, taxi runway 21 via Papa." It wasn't plenty, but it was sufficient. I lift off just as the firestation passes by my left wing. I later calculated based on the timer on the ADF that I used at least 60 seconds, perhaps as much as 70 to get from standing still to liftoff. Density altitude was around 7000 feet, and the tailwind was reported to be 10 - gusting to 17. Not the best choice after all, but I made it. Climbing to 10k. Will be good to be at altitude, in case the engine wants to behave badly again. Then I'll at least have the option to not crash into the canyon itself. Out the left window a subltle, but definate, clue - the flap is drooping. I just had the flaps tightened around 12 hours ago on the Hobbs. The left flap had a bit of rattle to it during walk around, but not anything more than I'm used to. Apparently someting was going on. 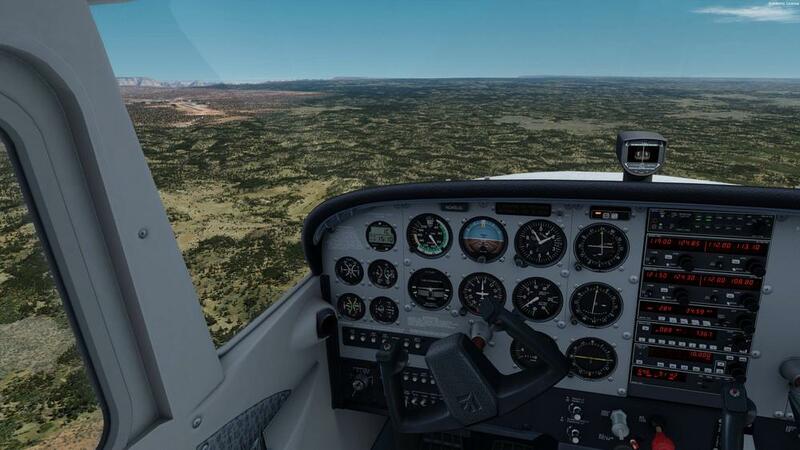 - "LA Center, Cessna 245LG has to cancel IFR, I have control problems." - "Cessna 5LG, roger. Will you be heading back, or will you continue to the destination?" - "I'll have to turn back. My left flap has broken, and the plane isn't flying too well. Cessna 5LG"
- "Cessna 5LG, roger. Are you declaring an emergency at this time?" 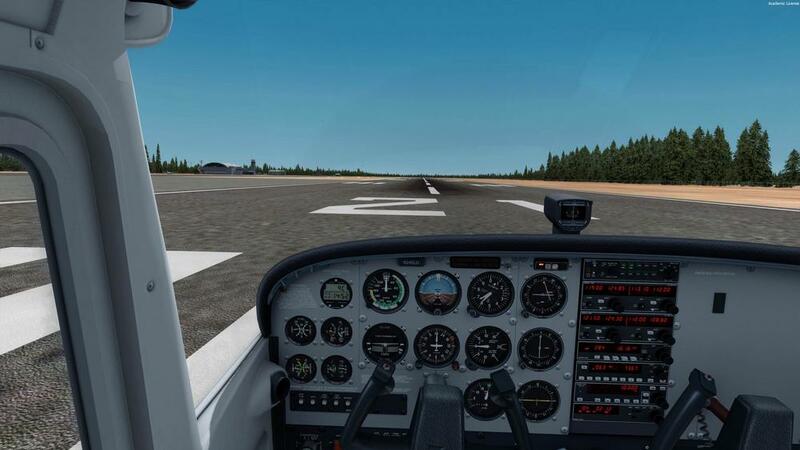 - "Cessna 5LG, turn left heading 060, decend 9000 pilot's discretion. When able say souls on board, and fuel remaining in minutes." I flew back towards the airport, and did some slow flying to see how the airplane was behaving. Flying slow the flap drooped more, and the ailerons were less effective, so that's out. Too fast and the flap would be more unpredictable in the gusty wind, but the ailerons would have more authority. The lengthy runway and the headwind (I'll be landing upwind, for sure!) would give me lots of time, so I chose a middle ground - about 80-90 knots during approach, and aiming for 70 during touch down. No extra flaps, thank you. 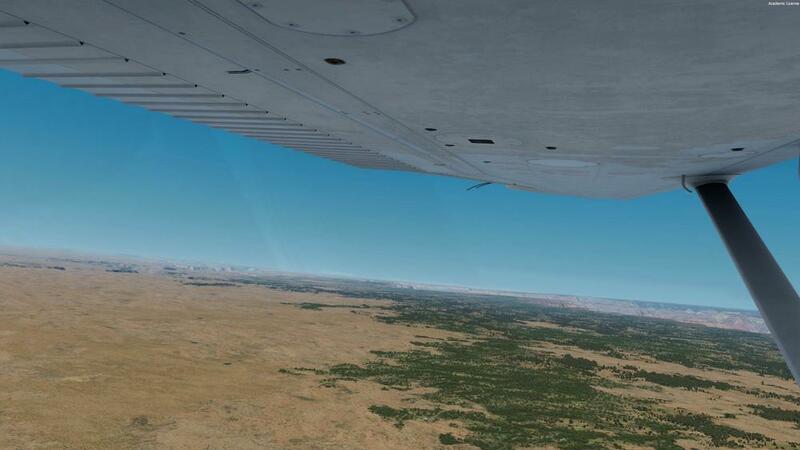 - "Grand Canyon Tower, Cessna 245LG emergency aircraft, inbound to land." 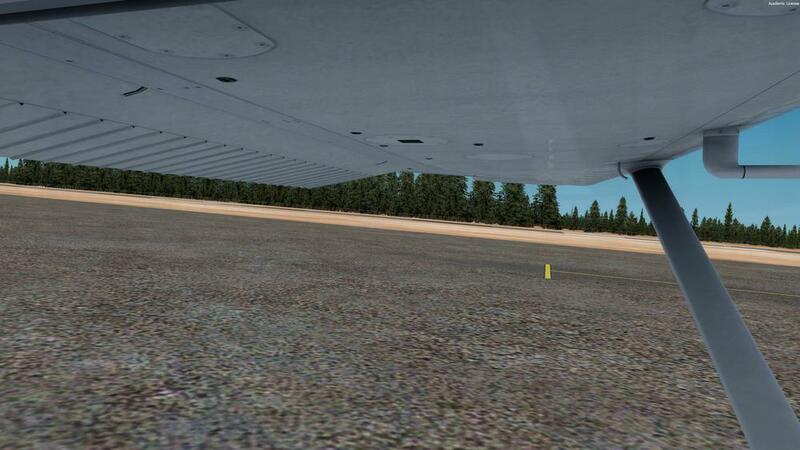 - "Cessna 245LG, Grand Canyon Tower, cleared to land runway 3"
- "Cleared to land runway 3, Cessna 5LG." - "And will you be needing rescue equipment, Cessna 5LG?" - "No, my left flap is broken, and I'll just need to land fast. I'll make use of the great headwind. Cessna 5LG." - "Roger, just roll out to the end if you need to." The gusty winds the and flappingly flapping flap made for a challenge. The whole deal wound up a "float-fest", and I landed halfway down the runway. 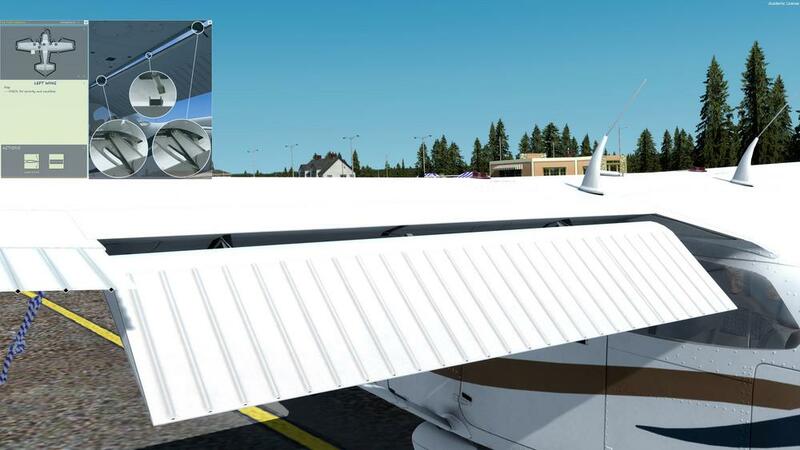 As I parked the plane the flap drooped even more. When I shut down the engine the flap came all the way down. 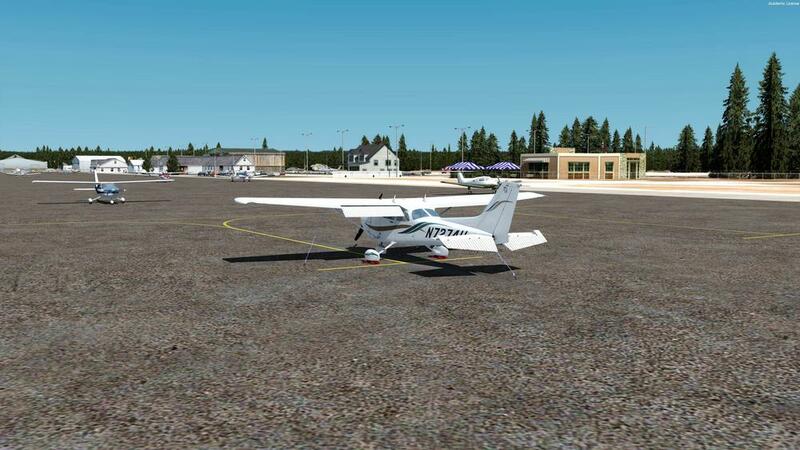 Here I'm parked, ready for another of those now familiar repair bills for this Cessna. What a fun little plane! I fly it by the book, and I even wait with deploying 10 degrees of flaps until I'm in the white arc (it's allowed from 110 knots, but I try to be careful) and I'm rewarded with this? Well, I'll keep on keeping on, and I'm sure the Cessna will do the same - trying to kill me, that is. Location: Arendal, Norway. Home airports: ENCN and ENGK.